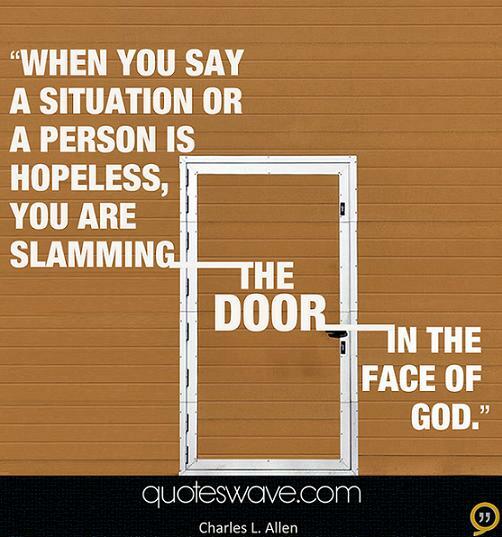 When you say a situation or a person is hopeless, you are slamming the door in G-d’s face. Visualize, “prayerize,” “actionize,” and your wishes will come true. Why should you be content with so little? Why shouldn’t you reach out for something big?